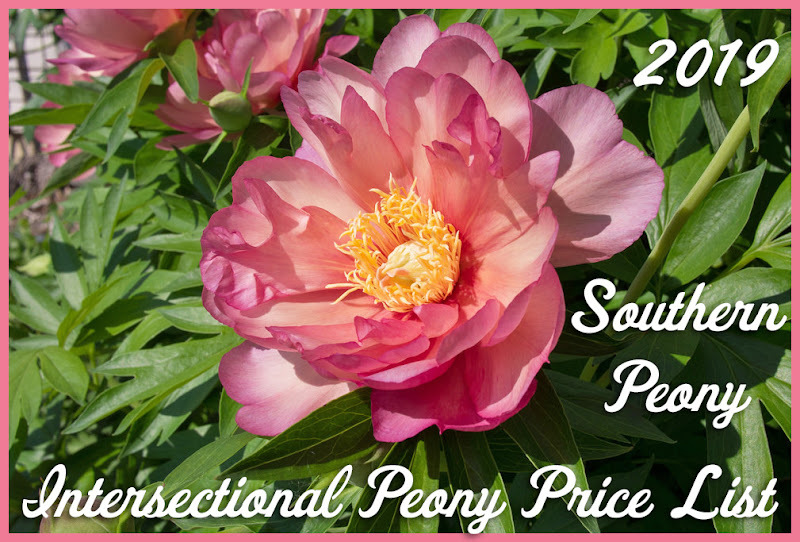 When I saw the chance to pick up Intersectional Peony 'Luxuriant' on Ebay for a better price than I've yet to see on my 2018 Intersectional Peony Catalog Price Comparison List, I jumped. Also I have purchased from this seller, jackshouse2008, before. So I'm hoping this will be another positive experience as well. 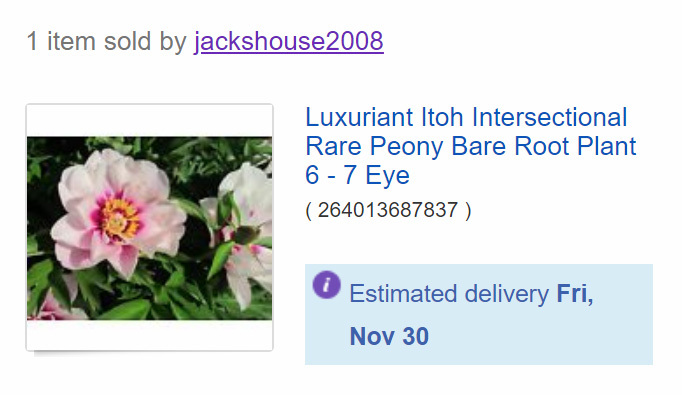 As you can see from my 2018 Ebay Peony Seller Reviews, I purchased Intersectional Peony 'Lemon Dream' from them in 2014, and it turned out to be correct. 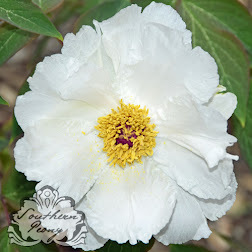 I featured some photos of that Peony 'Lemon Dream' in my 2018 How to Take Awesome Photos of Peonies (or Any Other Flower) article. I have never grown peony 'Luxuriant' before. So I am excited to try it. The coloring of it looks similar to intersectional peony 'Cora Louise', perhaps with a slight more tinge of pink. The petals appear to be more symmetrical and even, fewer of them, with perhaps more substance. You can only tell so much from a photo, but I am excited to take some photos of my own. Intersectional Peony 'Luxuriant' was hybridized by Roger Anderson and registered in 1986. I'm surprised it's not in wider distribution by now, since it looks like quite a nice intersectional peony flower. 2018 Greensand, Vitamins for Peonies?